MB Clinical Research (MBCR) Opens New Office. MBCR is dedicated to improving health through clinical trials and research focused on the prevention and treatment of a wide variety of diseases and health conditions. BOCA RATON, Fla. - Oct. 30, 2015 - PRLog -- MB Clinical Research (MBCR) is proud to announce the opening of its Corporate Headquarters at 751 Park of Commerce Drive, Ste 118, Boca Raton, FL. 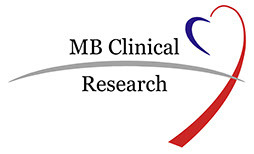 Spanning the gamut from nutritional studies to pharmaceutical development trials to evaluate therapies for prevention and management of metabolic and cardiovascular disorders, MBCR is devoted to performing the highest caliber clinical research. Chief Medical Officer Seth J. Baum, MD and Chief Science Officer Kevin C. Maki, PhD founded MBCR in early 2015. Dr. Baum is a preventive cardiologist and clinical lipidologist with a practice in Boca Raton FL. He is President Elect of the American Society for Preventive Cardiology and serves on the Board of Directors for the FH Foundation. He has written extensively in the fields of heart disease prevention, lipids, and integrative medicine. Dr. Maki is an epidemiologist who specializes in the study of dietary and pharmaceutical interventions for prevention and management of heart disease and diabetes. He has participated as an investigator, consultant or statistician in more than 250 clinical studies and published more than 200 scientific papers, books and book chapters. Together Drs. Maki and Baum provide a comprehensive resource for the conduct of clinical trials in Boca Raton that will contribute meaningfully to the development of new and important therapies for preventing disease and improving health.